There was not a lot of dialogue but what there was blended well with the images and the score. The fact that the film was primarily shot in IMAX and 70mm instead of digital and used real ships and aircraft instead of massed amounts of digitally created military hardware added to the realism, as the musical score written by Hans Zimmer wrapped itself around you with the ticking of a watch ever present. If you have ever been to war or served at sea and been shot at, the movie captured the worst fears of a soldier, sailor, or airman at war; a soldier being trapped on a beach under fire and waiting for rescue; a sailor struggling to escape a sinking ship, or an airman wondering if you have enough fuel to complete the mission and make it home. It also captured the feeling of being delivered from danger, and how that feeling can change in the blink of an eye to terror and despair. I liked the way that Nolan and Hans Zimmer who wrote the musical score gave something we often overlook in life, the matter of time to the forefront. The ticking of the watch and the blending of an hour in the air, a day at sea, and a week on the land reminded me of how important time is, especially when you are at war. I remember traveling in Iraq by air and ground and just how different each felt in manner of time. Likewise, how different the concept of time felt being on a larger ship or a small boat in a hostile area. Dunkirk was a different way to look at war, and maybe because so few people in the United States or Western Europe have experienced war that is a good thing. I honestly think that a film like this, which did not focus on the Generals, Admirals, or political leaders, but rather common soldiers, sailors, and airmen, was a good thing. 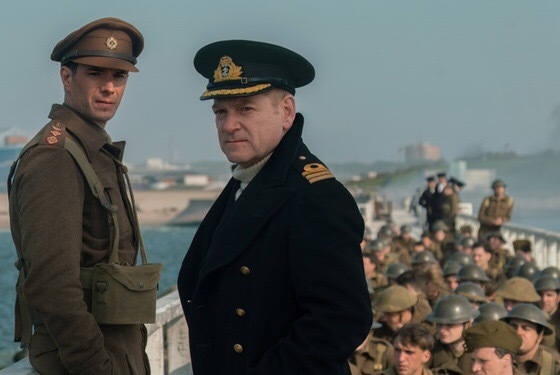 As far as characters in the film I found that Kenneth Branagh’s character, a Royal Navy Commander directing the evacuation of soldiers from the harbor mole, followed by Tom Hardy who played a Royal Air Force Spitfire pilot, and Mark Rylance who played a civilian mariner to be the most compelling characters. Anyway, it is a film that I believe deserves much praise because it focused on the men who fight the war, and what they feel when under fire, rather than trying to wrap the narrative in a neat package with a happy ending. Dunkirk was a miracle that kept a disaster from ending the war. It was not a military victory, it was a nation pulling together to stave off utter defeat, and it allowed Britain to remain in the war and hold off the Nazis in the west until the United States entered the war after Pearl Harbor. If you want to read a good book about Dunkirk that will not take too much time I recommend Walter Lord’s Miracle at Dunkirk, and for a broader perspective on the 1940 campaign in France, I recommend Alistair Horne’s classic To Lose a Battle, France 1940, and William Shirer’s The Collapse of the Third Republic, an Inquiry into the Fall of France 1940. I second the Alistair Horne recommendation. My father was a serving officer on the staff of the British Expeditionary Force (BEF). He didn’t talk much about Dunkirk except to say it was “it was a bit of a shambles”. He did say that before the fighting began, he and many others on the BEF staff didn’t think much of the French Army’s ability to hold off the Germans. He told me of a time when he was given an assignment to visit nearby French artillery units and assess their qualities. He reported that the troops were reasonably disciplined, trained and led, but that their equipment left a lot to be desired. In his report he noted that the horses harnesses (French artillery was still horse drawn at the time), was held together by “bits of string”. Because his report ran counter to the official picture of the French Army being purported by the powers that be, it never got passed the desk drawer of his staff section’s officer in charge.